Rodgers has yet to sign a contract this offseason, Geoffrey Arnold of The Oregonian reports. 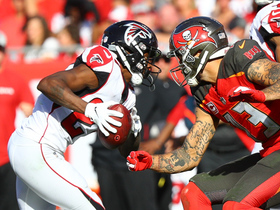 Rodgers rushed three times for three yards and brought in his only target for two yards in the Buccaneers' 34-32 loss to the Falcons on Sunday. Rodgers rushed twice for two yards and a touchdown and brought in all seven of his targets for 55 yards in the Buccaneers' 27-20 loss to the Cowboys on Sunday. Rodgers brought in his only target for one yard in the Buccaneers' 20-12 loss to the Ravens on Sunday. Analysis: One game after logging eight touches from scrimmage, Rodgers was back to minimal involvement. 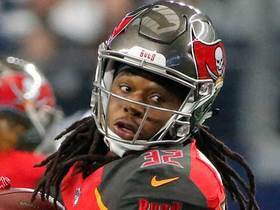 The Buccaneers opted to give Peyton Barber all of the running back carries Sunday, and the team's second-half deficit also forced them to turn more towards the passing game as the contest wore on. Rodgers also has ceded kickoff return duties to Bobo Wilson the last pair of contests, leaving him with negligible fantasy value. Rodgers rushed four times for 16 yards and brought in four of five targets for 38 yards in the Buccaneers' 28-14 loss to the Saints on Sunday. 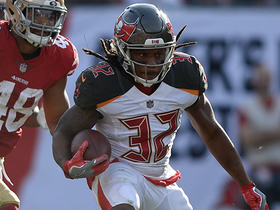 Rodgers rushed five times for 31 yards and brought in four of five targets for 31 yards in the Buccaneers' 27-9 win over the 49ers on Sunday. Rodgers rushed three times for 15 yards and failed to come up with any of his three targets in the Buccaneers' 38-35 loss to the Giants on Sunday. Analysis: Rodgers once again played a complementary role behind lead back Peyton Barber in the continued absence of Ronald Jones II (hamstring). One week after a career-high eight receptions, Rodgers failed to come up with any of his targets, lessening his already modest fantasy impact. Outside of his Week 10 outlier performance, Rodgers remains a middling fantasy option in all formats and could potentially revert to inactive status upon Jones' return to health. 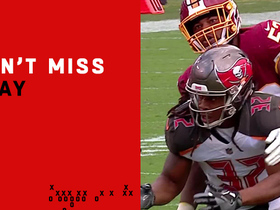 Rodgers netted zero yards on his sole rush but hauled in all eight of his targets for 102 yards in the Buccaneers' 16-3 loss to the Redskins on Sunday. However, he also fumbled into the end zone after a catch, which was recovered by Washington. Rodgers rushed twice for 14 yards and brought in two of three targets for minus-4 yards in the Buccaneers' 42-28 loss to the Panthers on Sunday. 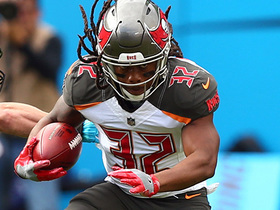 Analysis: With Ronald Jones II (hamstring) out of action Sunday, Rodgers once again served as Peyton Barber's primary backup. 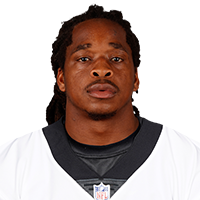 The veteran actually generated the Bucs' longest run of the day (15 yards), and he's now logged at least one carry in three straight games. However, Rodgers' role will continue to be capped in similar fashion to Sunday unless an injury were to strike Barber. Tampa Bay Buccaneers running back Jacquizz Rodgers rushes in to the end zone for a 2-yard touchdown against the Dallas Cowboys. Tampa Bay Buccaneers running back Jacquizz Rodgers dashes through an open gap for a 20-yard gain against the San Francisco 49ers. 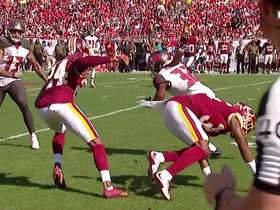 Washington Redskins linebacker Ryan Anderson punches the ball from Tampa Bay Buccaneers running back Jacquizz Rodgers and Washington Redskins safety Ha Ha Clinton-Dix recovers the fumble in the end zone for a touchback. Tampa Bay Buccaneers quarterback Ryan Fitzpatrick tosses a short pass to running back Jacquizz Rodgers and serves as his lead blocker on a 24-yard gain. 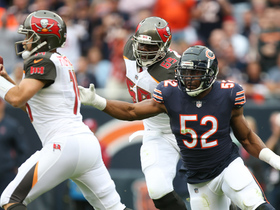 Chicago Bears linebacker Khalil Mack strips the ball out of Tampa Bay quarterback Ryan Fitzpatrick's arm, but the Bucs recover the loose ball. 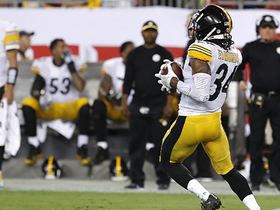 Pittsburgh Steelers Terrell Edmunds makes first career interception on deep ball from Tampa Bay quarterback Ryan Fitzpatrick. 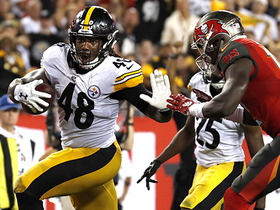 Pittsburgh Steelers Bud Dupree perfectly reads Tampa Bay Buccaneers quarterback Ryan Fitzpatrick's throw for pick-six.